When someone says “private club,” a few things probably come to mind: golfing, stuffy dining rooms, and suits. But you’re thinking of country clubs from the past. Today’s interest-based private clubs cater to younger audiences with a more modern experience. 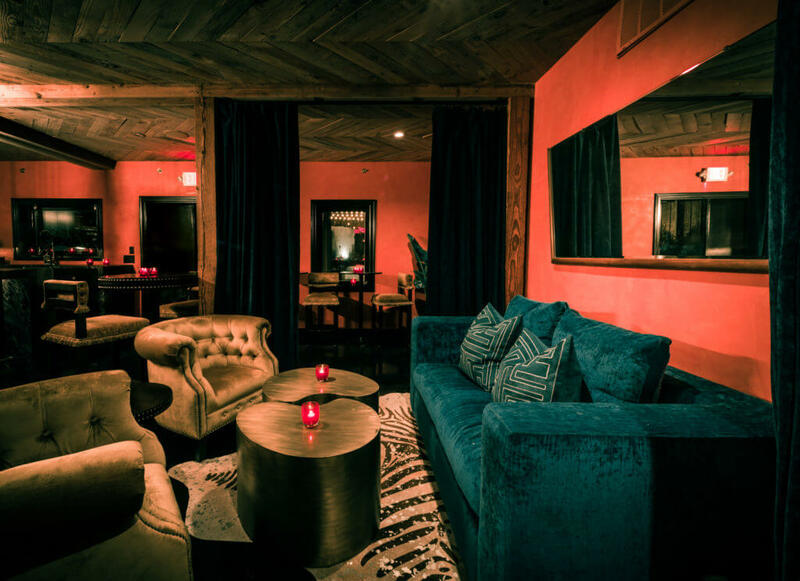 The most successful of these new clubs are unique, sleek, and welcoming establishments—like Pershing. Pershing is a member-based social club that aims to connect like-minded individuals in Austin, Texas. Considering itself a home to creative and passionate business professionals, the club prides itself on its consistent staff, relaxed atmosphere, and extensive musical, artistic, and literary programming. Since opening its doors in 2018, it has quickly gained a strong member base, due in part to its one-of-a-kind operating model. From the start, founder and owner Kip McClanahan was determined to create a horizontal organizational structure, where team members work together to build a welcoming atmosphere for their members. However, the core team was sharing a single phone for member communications, leading to fragmented and jumbled customer service operations. While club members were satisfied, Kyle Lauterbach, Director of Member Experience, knew that Pershing could improve member service even further by streamlining their communications. With this in mind, Kyle began to ask businesses in his network for text messaging platform recommendations. Kyle, who sets Pershing’s service standard, was focused on creating social bonds with members in a meaningful and comfortable environment. At Pershing, club members aren’t just customers, but family. This kind of close relationship relies on personalized communications, both inside the actual club and through any devices. Founder Kip’s horizontal organization structure worked well for general management—but was a challenge when it came to business communications. Four to five directors answered business questions through a single phone where messages were funnelled, forcing team members to share details from critical messages via email or in person. Understandably, this process led to fragmented information. Some coworkers were missing vital club member correspondence, leading to slower and less informed communications. Kyle knew they needed to improve this system, especially as the business began to grow. More members were beginning to send inquiries and more team members needed access to them. After reviewing recommendations and conducting market research, the Pershing team decided that Heymarket’s platform offered a solution that could streamline their communications. As soon as Pershing signed up, the Heymarket team facilitated quick and easy onboarding—and Pershing experienced near-immediate benefits. Heymarket’s shared inbox feature enables each team member to view incoming club member messages and decide who is best equipped to respond. With all information accessible by team members, no staff member misses important conversations or falls behind on critical messaging threads. Even if a coworker misses an initial chat, other team members can add informative private messages within it to ensure the coworker can catch up later. For example, a host or hostess can easily review details about a dinner reservation made earlier in the day via text. If multiple team members decide to answer an inquiry using the shared inbox, every outgoing message features a single Pershing signature to provide members with less cluttered service. This feature has become vital for tasks like planning events; if a club member wants to host a birthday cocktails event, multiple team members can work with him or her in the area of their specialties, like arranging menus or entertainment particulars. Even though everyone on the Pershing team is constantly busy, Heymarket’s shared inbox allows the team to distribute incoming customer requests. For example, while some team members focus on tasks like moving furniture or discussing menus with the chef, others can watch the Heymarket inbox for them. Because Heymarket is available in iOS app, Android app, and web app formats, team members have constant access to their inbox. Due to this enhanced level of coordination from the Pershing team, club members receive faster and more accurate responses than ever before. Heymarket empowered Pershing to achieve a five-minute response time—a key goal of our membership experience team. After just one week of using Heymarket, Pershing’s leadership saw a dramatic improvement in member service operations and satisfaction. Heymarket has vastly improved our customer communications, allowing us to form close bonds with our club members. Heymarket has enabled the Pershing team to react and respond to club members in five minutes with expedient, personalized text messages. This high-quality member service has empowered them to form close bonds with club members, improving the overall Pershing experience and strengthening the club’s community standing. Pershing continues to expand its member base, but the core team isn’t worried about scalability. Now that communications are based in the Heymarket platform, members will receive the same fast, reliable service as staff and membership rosters increase.